For the alternate reality counterpart, please see Vulcan. "I am home and I had almost forgotten its beauty." The first draft script of ENT: "Fusion" (which had the working title "Equilibrium") referred to an area of the planet called Riaax, though this location has not been referenced in canon. Spock's homeworld was originally to have been Mars. At a time when Vulcans were known as "Vulcanians", their home planet was to have been named "Vulcanis". (Star Trek: The Magazine Volume 1, Issue 2, p. 82) This name was in fact used in an NBC promotional booklet announcing the first season of Star Trek: The Original Series, the 1966/1967 season. An amended complaint of copyright infringement in the case of Paramount Pictures and CBS Studios vs. Axanar Productions and Alec Peters (the court document was filed on 11 March 2016) erroneously alleged that the name "Vulcanis" was also used to refer to the planet in TOS: "Where No Man Has Gone Before". Although that episode does include mention of the planet, it isn't cited by name on that occasion (with Elizabeth Dehner instead referring to it simply as "your planet" in conversation with Spock). The name "Vulcanis" was used during early production of TOS Season 1 but was changed to "Vulcan" soon thereafter. ("Amok Time" text commentary, TOS Season 1 DVD) The planet was referred to with that name in an ultimately unused line of dialogue from the final draft script of "Mudd's Women" (dated 26 May 1966), in which Kirk admitted to having been on Vulcan (though he didn't go into any further detail about the planet). Whereas the first-produced mention of the planet was in "Where No Man Has Gone Before", the first aired episode to reference it was "The Man Trap", which firmly established the planet's name as "Vulcan". Although the first appearance of Vulcan in "Amok Time" is a view of the planet as seen from orbit, the planet is excluded from the equivalent version of the scene in the episode's revised final draft script, which instead details two consecutive flybys of the Enterprise alone. The script continues with a turbolift scene in which scripted dialogue concerning the planet was ultimately eliminated from the episode, including Spock implying to Kirk that – due to his biology – he can instinctively sense when he is nearing Vulcan. In the first scripted description of an orbital view of the planet, Vulcan is characterized as "a 'hot' planet... yellow, orange... no cool colors about it." Depictions of Vulcan as seen from orbit in the original version of "Amok Time" featured a reuse of a globe that was often used to represent class M planets but was also frequently reused as various other planets – in which case, it was tinted in a variety of hues, either by an optical printer or by a color timer. The globe's reuses included Deneva in "Operation -- Annihilate!" and Gamma Canaris N in "Metamorphosis". The remastered edition of "Amok Time" replaced this oft-reused globe with computer-generated shots of Vulcan. In both versions of "Amok Time", the surface of Vulcan is introduced with a view of a desert area. The episode's script states, "This area of Vulcan is a landscape of drifting sand stretching away to a distant saw-toothed line of mountains jutting up at the edge of the far horizon." Views of Vulcan ceremonial grounds in the original version of "Amok Time" took their cue from writer Theodore Sturgeon imagining Vulcan culture as highly advanced but with an evolved appreciation for craftsmanship as opposed to high technology. The Vulcan setting was therefore devised as a primitive-looking area resembling Stonehenge, with numerous handmade artifacts (such as gongs, bells, and wind chimes). Sturgeon's method of realizing Vulcan was not only planned to be cost-effective but also emphasized the otherworldliness of the planet. ("Amok Time" text commentary, TOS Season 1 DVD) The script details the ceremonial site as, "A fairly level arena area. Rocks around the edges give a half-natural, half-artifact aspect, as if the wind or rain had curved something like a Stonehenge, or reduced a Stonehenge to something like this. Within this rock area is a Vulcan-made 'open temple.' In history, perhaps it was once a shrine. There are two high arches of stone, a level stone floor an open fire-pit toward the 'rear' as we look at it. IMPORTANT: Several huge jade-like 'wind chimes' hang in view... and as the hot breeze stirs the green, hanging rock together, we HEAR strange musical notes." In scripted dialogue that was not incorporated into either televised version of the episode, the arena is described by Spock as his family's "place for mating." Coincidentally, at around the same time Star Trek was establishing Vulcan in late 1966, the British series Doctor Who featured a story arc, entitled The Power of the Daleks, which featured a planet named Vulcan as a setting. News that a second Star Trek episode would feature Vulcan was announced at a convention wherein "Amok Time" was first shown to fans. Most of the fans in attendance reckoned that the story would be set mostly at Spock's family abode on Vulcan. (The Star Trek Compendium, 3rd ed., p. 88) Indeed, the planet's surface was originally intended to make a reappearance in that second installment, D.C. Fontana's "Journey to Babel"; for the first time, a city on the planet was planned to be shown. The creation of a matte painting was considered to be prohibitively costly, however. (Babel #5; Enterprise Incidents, number 11, p. 26) The planet's surface consequently appears in only one installment of TOS: "Amok Time". In the filming script of "Journey to Babel", Vulcan is described as a "hot yellow-orange planet". However, in the episode's final version, the planet has a deep red tint. When Vulcan is first shown in "Yesteryear", the script describes the planet as having a cloudless, "orangy red" sky, and implies that the lack of clouds is due to the thinness of Vulcan's atmosphere, though what is actually shown in the episode is more of a yellowish brown sky, with many clouds. The script also states that some flowers were imported to Vulcan from other planets, instructs that dust demons were to have been shown, and comments, "While Vulcan is an old planet, its thin atmosphere keeps erosion to a minimum." The presentation of Vulcan in the theatrical cut of The Motion Picture involved matte paintings done by Matthew Yuricich. "He had almost no time to do them, so he was never quite happy with them," noted Robert Wise. (audio commentary, Star Trek: The Motion Picture (The Director's Edition)) The Vulcan settings were also included in storyboards and, prior to the planet's sky being depicted as black with stars, an early matte painting (worked on by Yuricich) showed the planet with its more typical golden sky, an illustration that was abandoned in 1979. Producer David C. Fein later reasoned, "As far as we can tell, they went for a darker environment because it helped to hide the fact that the Vulcan elders were actually speaking English and not Vulcan." (Star Trek: The Magazine Volume 2, Issue 8, pp. 25 & 26) Visual effects supervisor Daren Dochterman suspected that the replacement of the sky from orange to starry black implies that the film's original production staff must have had a problem with integrating the early matte painting with live action footage that was used to represent parts of the Vulcan landscape. (Star Trek: The Magazine Volume 2, Issue 8, p. 59) Two matte paintings represent Vulcan in the theatrical cut. Adding a tilt from the Vulcan sky to Spock's position in the new version of the first matte painting made the character more noticeable and strengthened the sense of connection between him and V'ger, visually shifting from the cloud's position to the Vulcan landscape where Spock was. (audio commentary, Star Trek: The Motion Picture (The Director's Edition)) The pan down from the sky also involved the sky's color brightening from the black of open space to the orange of the Vulcan sky as seen from the surface. In common with "Journey to Babel", the episodes from Star Trek: The Next Generation that featured Vulcan mostly showed only views of the planet from orbit, excluding Vulcan's surface from reappearing. Two such shots of Vulcan are shown in "Sarek", whose script described the planet as "red/brown." However, the same teleplay gave no indication that the planet was to be seen in any more than one shot. The second of the three TNG installments that feature Vulcan, "Unification I", was the first time a room on the planet was shown without the exterior of the planet's surface being depicted too. The first draft script of ENT: "Strange New World" established that the name "Vulcan" was a non-indigenous name for the planet, having been invented by Humans, and that the Vulcans called it something else, though precisely what wasn't revealed in the script. In the final draft script of "Home", a city on the surface of Vulcan was described as "our first-ever look at a Vulcan metropolis. Adobe-type dwellings line the outskirts of the city... taller, spire-like modern structures dominate the center." An extended scene from "Home" (included in the ENT Season 4 Blu-ray) was set on Vulcan, in T'Les' residence. Mike Sussman on the Vulcan set of T'Les' home from "Home"
Although other parts of Vulcan were named, the first shot of the planet's surface in "The Forge" was scripted to show simply an unnamed "Vulcan desert". Even then, the notion was still to feature the planet on a grand scale, with a scripted scene description of the vista instructing it was to consist of "An epic expanse of red sand... ancient ruins of enormous statues...." Later in the script, this area was differentiated from Gateway, and Vulcan was described as having a "blast-furnace desert heat". Whereas an establishing orbital shot of Vulcan is shown at the start of the episode's third act, the script did not feature that shot. In the script of "Kir'Shara", the first view of Vulcan's surface in that episode was described thus; "A network of ravines and canyons stretches across the desert... it looks as if the planet's crust has shattered." Vulcan was also referenced once in a scene description from the final draft script of ENT: "United", remarking that no-one on the planet would believe that a particular moment involving a handshake between an Andorian and a Tellarite was even possible. In J.J. Abrams' Star Trek movie from 2009, an icy planet called "Delta Vega" is located so close to the Vulcan of an alternate timeline that Spock was easily able to witness his home planet's destruction from its surface. Whether Delta Vega was intended to be a reference to any possible moon or sister planet of Vulcan has not been clarified. In DIS: "Lethe", a large body with a smaller one in front again appears in Vulcan's sky, depicted in a shot of a Vulcan cityscape. In "If Memory Serves", another moon-like object is seen in its night sky, not consistent with any other depictions of nearby bodies, but similar in appearance to Earth's moon as seen from its surface. According to Gene Roddenberry, James Blish and multiple other background sources, the Vulcan system was the star 40 Eridani A. One official source that suggested this proposal was the 1980 reference work Star Trek Maps (pp. 25-26). An alternative possibility, included in the equally official Star Trek Spaceflight Chronology (first published in 1979), was that Vulcan's sun was Epsilon Eridani. Roddenberry favored 40 Eridani, due to the comparative ages of the two systems. In a letter printed in Sky and Telescope magazine in July 1991, Roddenberry wrote, "Based on the history of life on Earth, life on any planet around Epsilon Eridani would not have had time to evolve beyond the level of bacteria. On the other hand, an intelligent civilization could have evolved over the aeons on a planet circling 40 Eridani. So the latter is the more likely Vulcan sun." He also made the presumption that the planet orbits the primary star. This association was continued in the books The Worlds of the Federation (p. 18) and Star Trek: Star Charts (p. 58). Both sources cite Vulcan as the second planet in the system, which Star Charts (pp. 19 & 45) places in Sector 005 in the Beta Quadrant. Vulcan, the primary of the Vulcan system, was located in the Alpha Quadrant on a star chart seen in the Star Trek: Discovery episode "Magic to Make the Sanest Man Go Mad". According to Michael Okuda in the book Ships of the Line (p. 22), the planet was devastated during the Time of the Awakening. The ShirKahr highlands were once green with meadows and soaring coniferous trees. During the Time of the Awakening, the highlands were destroyed by nuclear warfare, and the meadows changed into deserts. This process of destruction was repeated all over the planet, resulting in global climate change. Okuda detailed similar accounts of nuclear devastation in the text commentary for ENT: "The Forge" and in the book Star Trek: The Original Series 365 (p. 176). Star Trek: Star Charts (pp. 44-45 & 52) details more supposition about the planet, from a production staffer (in that case, Geoffrey Mandel). The book states that, in 2378, the planet was alternatively referred to as both Vulcanis and Vulcan. The book also posits that Vulcan had been ruled by the Confederacy of Surak since 370 AD, it had two capital cities – Vulcana Regar and ShirKahr – and there were 4.9 billion people living on the planet. Two thousand years before, in the 4th century, Vulcan was a destination on the Debrune trade routes. In the mid-22nd century, Vulcan was the hub world on the Vulcan trading routes. It traded with Altair, Arcturus, Cor Caroli, Coridan, the Deneb system, Denobula Triaxa, Kaferia, Lorillia, P'Jem, and Rigel. The Worlds of the Federation (p. 18) gives T'Khasi as Vulcan's indigenous name and states that Terran astronomers, taking inspiration from Terran mythology, provided the planet with its name of Vulcan, which the Vulcans gracefully accepted as the planet's official Federation designation. Both The Worlds of the Federation (p. 18) and Star Trek Maps (p. 26) characterize Vulcan as having "several large port cities," with the former stating that eighty-six percent of the planet's surface is landmass. The latter source describes the planet as relatively large. The Star Trek Encyclopedia (4th ed., vol. 2, p. 44) classified Vulcan as a Minshara-class planet. Imagining one particular part of Vulcan in his autobiographical book I Am Spock (hardback ed., pp. 244 & 245), Leonard Nimoy (writing from Spock's perspective) reported, "There lies on Vulcan a stretch of flat, barren desert known as the 'plain of thought,' which has come to symbolize ultimate accomplishment. At one end of the plain stands a millennia-old fragment of wall. At the other end, approximately one of your Earth kilometers away, rests a tall, slender obelisk." Nimoy went on to envisage that successful completion of a Vulcan ceremonial test in this area – involving crossing between the wall and obelisk, then back again – results in the traveler being awarded "the right to wear the symbol of Kolinahr." In Gene Roddenberry's novelization of The Motion Picture, he indicated that nine Vulcan seasons were equal to 2.8 Earth years. This would make Vulcan's year 456 ± 33 Earth days long. The same novelization also places the narrative's scenes of Vulcan as being in Gol. Despite specifying that Vulcan had multiple suns, the book makes no reference to any moons or additional planets in the Vulcan system. 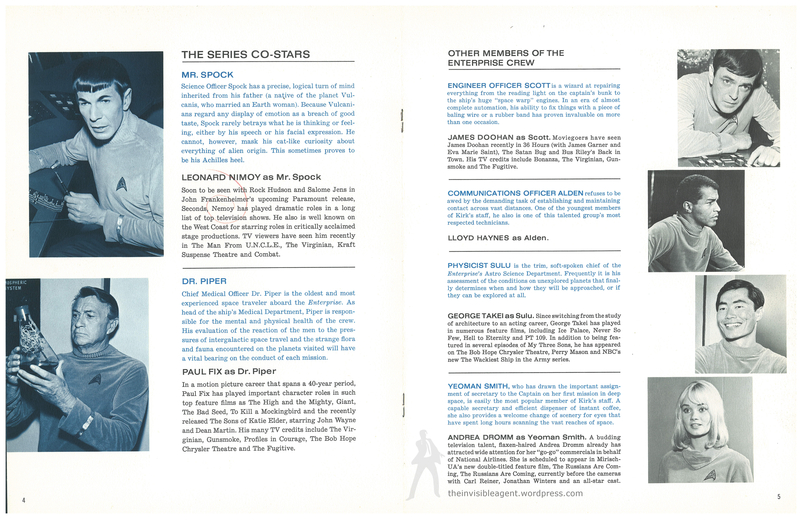 Neither does the novelization of "Yesteryear" (which was first published in 1974) make any mention of other planets or planetoids in the Vulcan system (stating merely that "Vulcan had no moon"), even though the first edition of the anthology in which it was originally published (Star Trek Log 1) has a front cover featuring a shot of the large orb in Vulcan's sky from the aforementioned episode. It was in the 1975 fanzine Warp Speed 8 (in the Landing Party Six Writer's Guide) that Gordon Carleton first proposed the existence of Vulcan's sister planet. Later, officially-licensed Star Trek novels continued this trend, including the 1984 novel The Vulcan Academy Murders by Jean Lorrah, Diane Duane's 1988 novel Spock's World, A.C. Crispin's 1994 novel Sarek (as "T'Rukh", with a comment that this was merely another of the planet's names), and Michael Jan Friedman's 1999 novel New Worlds, New Civilizations. The latter of these features another front cover on which the sister planet appears, as does The Vulcan Academy Murders.